Archaeologists say evidence of the long-dead race can still be readily found. WASHINGTON—A team of leading archaeologists announced Monday they had uncovered the remains of an ancient job-creating race that, at the peak of its civilization, may have provided occupations for hundreds of thousands of humans in the American Northeast and Midwest. According to researchers, these long- forgotten people once flourished between western New York state and Illinois, erecting highly distinctive steel and brick structures wherever they went, including many buildings thought to have held hundreds of paid workers at a time. "It's truly fascinating—after spending a certain number of hours performing assigned tasks, the so-called 'employees' at such facilities would receive monetary compensation that allowed them to support themselves and their families," said archaeologist Alan H. Mueller, citing old ledgers and time-keeping devices unearthed at excavation sites in the region. "In fact, this practice seems to have been the norm for their culture, which consisted of advanced tool users capable of exploiting their skills to produce highly valued goods and services." "It's a complex and intriguing set of rituals we're still trying to fully understand," Mueller added. "But it appears as if their entire society was centered around creating, out of thin air, actual jobs that paid an actual living wage." With his team having so far cataloged the decaying ruins of more than 400 edifices believed to have been used solely for human employment, Mueller said he now believes the inhabitants of mid-20th-century North America may have built their territory—in particular, the Great Lakes region and northern Appalachia—into one of the most advanced and prosperous civilizations in the world. Numerous scholars told reporters the findings have challenged everything they thought they knew about the fundamental organization of human societies, calling it "staggering" and "almost unbelievable" that a culture predating our own had been able to provide work to nearly every person who sought it. "By today's standards, the job creators' society was highly unusual," anthropologist Carla Delgado of the Smithsonian Institution said. "One of its more bizarre customs involved workers being employed at the same job at the same location day in and day out for their entire adult lives. It was grueling, perhaps, but astonishingly, some of these individuals were able to set aside part of their earnings for the future, slowly saving money with the hope of improving the prospects of their offspring." "The amazing part is, this bafflingly high level of economic security went on for generations," Delgado added. Archaeologists who participated in digs on the sites described ghostly scenes of intact but empty homes, halted conveyor belts, and crumbling storehouses still full of the lost people's signature "auto parts." By examining recovered artifacts, they have reportedly been able to decipher the names of what they speculate must have been the grandest settlements from the height of the job creators' empire: cities known among the ancients as Gary, Lansing, Cleve-Land, Sandusky, and Pitt's Burg. While stories have long been told of a great vanished race of job creators roaming the Midwest and providing employment to all able- bodied adults, historians said such accounts had previously been dismissed as apocryphal by the academic community. "Tales of a long-passed time when jobs outnumbered people are particularly common among the region's older population," Professor Albert Decker of Rutgers University said. 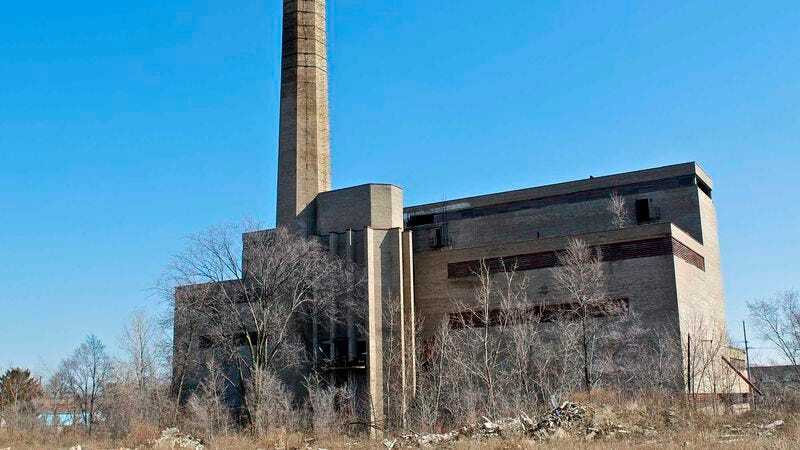 "Oral histories handed down across generations tell of travelers who, ages ago, ventured into the bleakest deeps of Illinois and saw grand, temple-like structures billowing smoke into the heavens as steely beams and flickering electrical boxes were fashioned from raw materials. What reason had we to believe such things could be possible?" As to how the ancient cities of employment fell into ruin, scholars have argued the job creators may have exhausted their resources or, perhaps, been killed off by a competing race of foreign job creators. "The remaining local population has its own mythology to explain the job-creating race's disappearance," Decker said. "Legend has it that they never died out, but rather entered a state of deep slumber from which they will one day awaken, bringing increased employment with them." "And perhaps it's best to let the locals hold on to this belief," Decker added. "It's really the only thing they have left."